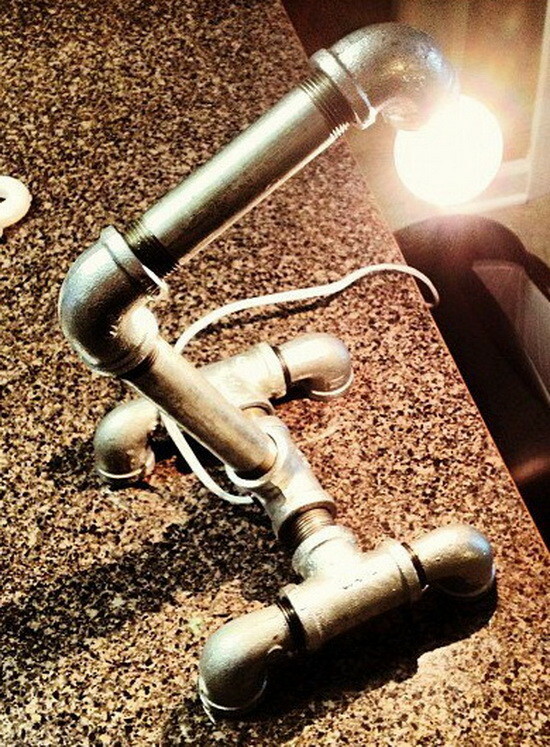 Here is another “do it yourself” custom diy steampunk lamp we built but this time using some really inexpensive plumbing pipe fittings. This diy Lamp Project cost us under $40 dollars and we found all of the parts to make it right in our local home improvement store. 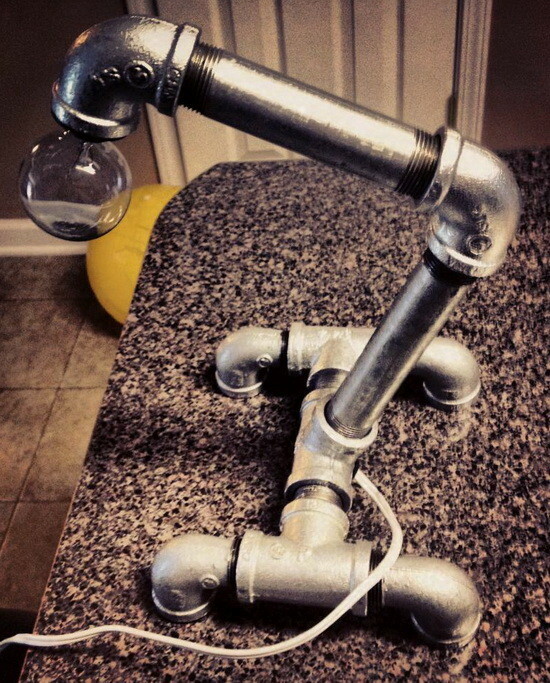 We used a candelabra socket and bulb for our pipe lamp. The light socket is held in place with a 3/4 inch rubber grommet which makes changing the light bulb very easy. The light socket and electrical cord are from a lamp kit we purchased online for around $9 dollars. (can be purchased at home depot or lowes but will cost more) We used an “inline” cord on/off switch to turn the lamp on and off easily. 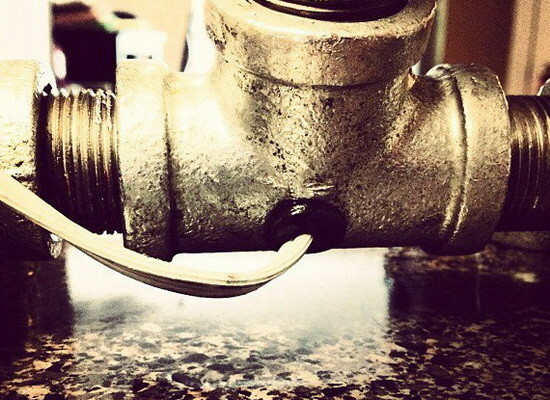 We drilled a hole in the bottom of our “T” pipe fitting and ran the wires through. A small rubber grommet is holding the wire in place so it does not get pulled out. We could not use wire nuts to connect the wires together so we used a solder gun to connect our power cord to the light socket. We then used heat shrink tubing on the wiring so the wires do not touch the inside of our metal tubing. Here is the On and Off switch we used for our light, it is called an “Inline Switch”. We carefully soldered the power cord wires to the light socket wires then “heat shrunk” them to insulate. 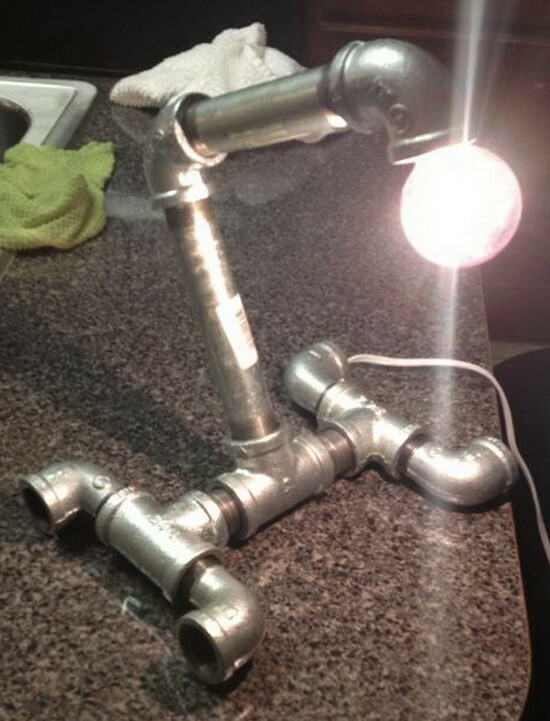 Here is our diy Pipe Lamp with the 90 degree “feet” pipe angled down. turned to form different shapes and angles according to your liking. Here our lamps feet are angled outward and laying flat. added a rubber grommet, and put our electrical cord through. This is our prototype for the time being. We plan to clean it up and add more photos later. We are going to remove the stickers, add a modern looking lampshade, paint it in a better color more suited for a contemporary look, and add an on/off toggle switch to the front. 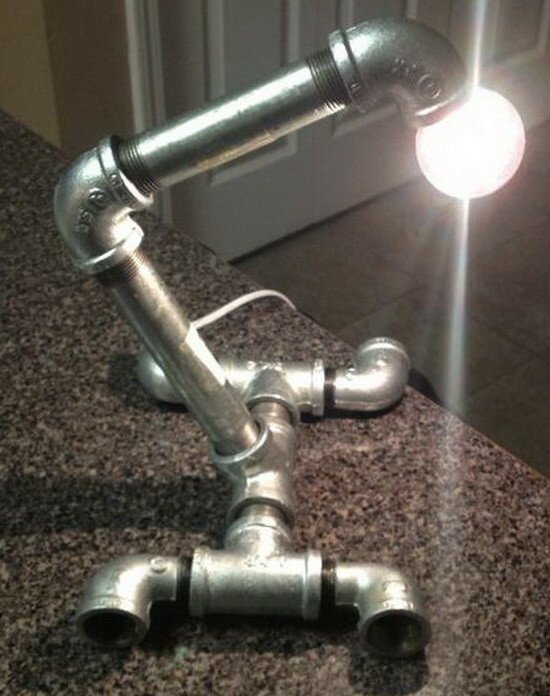 We will update this page as we tweak our diy Pipe Lamp. 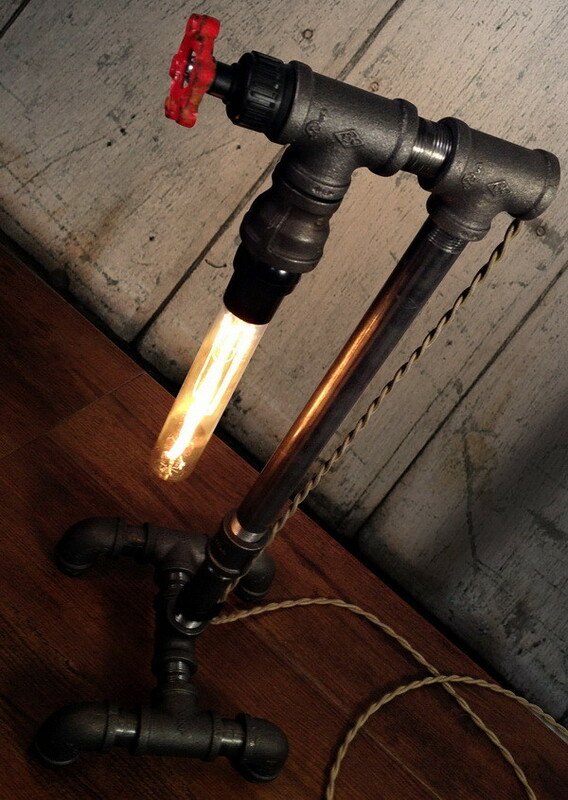 One of our readers sent this to us, they call it the “Steampunk Vintage Table Lamp”. Same basic principle to build as above but different parts were used. They used a 30 Watt Tubular Edison Bulb. The rotating faucet handle is a switch to turn the light on and off and the power cord is a vintage style cloth covered wire. Very Impressive! How do you get the bulb’s socket to hold inside the reducer? You can use JB Weld or anything similar. Hey guys, thanks so much for posting this! I also had a question in line with Robert’s. I find the big challenge with these lamps is making a secure connection where the socket sits in the pipe. I didn’t see anything about a reducer in the directions above. We have made the desk lamp. Looks just like yours and love the design. However, the light bulb is very glaring on a desk. Do you know of a solution to this. Thanks for the tutorial!